The High Country of North Carolina and the surrounding Blue Ridge Mountain area is a splendid place where ancient rivers, aging forests and towering mountains are the backdrop for everyday life. Places such as the commercial hub of Boone NC, the resort village of Blowing Rock, river communities such as Todd NC and Fleetwood, and Blue Ridge Parkway locations like Glendale Springs and Sparta NC are the perfect spots to buy Log Cabins for Sale in North Carolina in the mountains. These communities are still largely rural and contain many tracts of	Land for Sale in NC Mountains. Whether you are looking for Blue Ridge Mountain Real Estate on which to build the mountain home of your dreams, or are simply looking for Log Cabins for Sale in NC in one of the best loved vacations areas of the South, I can help you with all of your Mountain Property in North Carolina needs. I list and sell Appalachian Real Estate throughout the High Country region and the surrounding communities and towns, and can work with you no matter what your Western North Carolina Real Estate needs are. Let me be your guide to the areas throughout	Ashe County, Alleghany County and Watauga County. Click to find Mountain Property in North Carolina near the Blue Ridge Parkway and the New River and let me be your guide to the Western North Carolina Real Estate markets near Appalachian State University, the New River and throughout the Blue Ridge Mountains near Boone NC. Stop by my office in downtown West Jefferson NC anytime and I'll be happy to meet with you to discuss the different properties and types of Mountain Property in North Carolina currently for sale. Prices are the best they've been in years, so do not hesitate to begin planning for retirement, a big move, or an investment. If, after check through my listings of Blue Ridge Mountain Real Estate, you do not find anything that fits your wants and needs, take a moment and check out the Western North Carolina MLS for even more Blue Ridge Properties in Watauga County, Ashe County and Alleghany County NC. Contact me and let's begin working together today. From the moment you drive into Ashe County North Carolina, you will be amazed with the true sense of mountain living at its finest. Ashe County is located in the Northwestern corner of the state, in the heart of the majestic Blue Ridge Mountains, with Virginia to the north and Tennessee to the west. Ashe County is frequently identified with clean, fresh air, sparkling mountain streams, an abundance of wildlife, incredible natural beauty, remarkable views, and the American Heritage designated New River. Ashe County Real Estate offers a place of stunning views, charming towns, and welcoming people. Visitors come to Ashe County for the serenity of mountain cabins and the spirit of shared community. They come to hike the hills, canoe the New River, and fish trout from spring fed streams. Many visitors decide to purchase a piece of Ashe County Real Estate after visiting Ashe County. Now you can own your very own piece of the majestic Blue Ridge Mountains. Ashe County was incorporated as a separate entity by the North Carolina General Assembly in 1799. The county was named for Samuel Ashe, a Revolutionary War patriot, Governor of North Carolina, and superior court judge. Ashe County is the northwestern-most county in the state of North Carolina, and covers 427 square miles. The county seat is the city of Jefferson, established in 1799. This was the first city in America to be named for Thomas Jefferson. He was Vice-President of the United States at the time. Jefferson, the county seat, was platted in 1803. An early courthouse was destroyed in 1865. The old 1904 courthouse is now a historic landmark in Jefferson. Need more information about Real Estate in Ashe County North Carolina, let my services guide you through Ashe County Real Estate availabilities in Ashe, Watauga, Avery, Alleghany & Wilkes Counties. 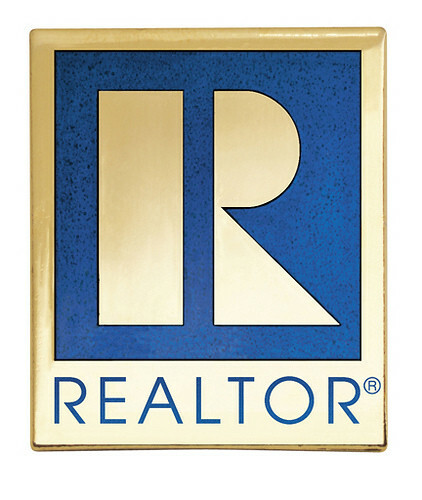 Let your professional realtor go to work for you!! One of the county's most distinctive features is the New River. It is said to be over three hundred million years old, and is unique in that it flows North. The river has been a major reason for settlement here, as well as a popular source of recreational activities. On July 30, 1998, it became protected from major development when it was proclaimed an American Heritage River. From its position at over 2,900 feet elevation in the Blue Ridge Mountains, Ashe County enjoys four distinct seasons. The winters are normally relatively mild with an average temperature of 32 degrees in January and a moderate amount of snowfall—an average of 28 inches per year. Summer temperatures average 68 degrees. The mean yearly temperature is 53 degrees. Annual precipitation is 48.06 inches.The High Country is a place like none other. Quaint mountain towns with all the amenities, the High Country Has a lot to offer - all with the backdrop of beautiful Blue Ridge Mountains. Ashe County Realty specializes in real estate in the North Carolina mountains of Ashe County, your guide to residential, land, and commercial real estate sales. Contact Us today.